Do you find that a relaxing herbal tea in the evening helps you shift down a few mental gears and wash away the stress of a busy day? As an Englishman and an insomniac, it makes sense that I’d include tea in my bedtime routine. Cultural norms aside though, I do feel that taking time out to enjoy your favorite tea, and breathe deeply as the natural aromas drift around you, is a great way to relax at night. 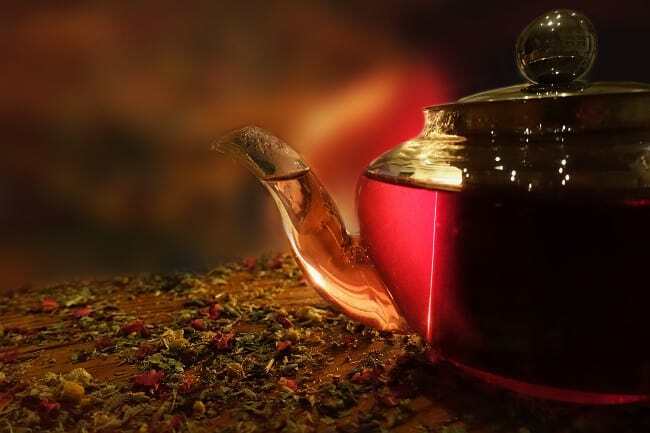 In this article, I’ll be looking at some of the most popular nighttime teas, and examining which herbs, flowers, and plants are used for relaxation. I’ll also explore why it is that even though some research says tea doesn’t help you sleep, millions of people feel it does – and that includes me! Can herbal tea really help you sleep better? 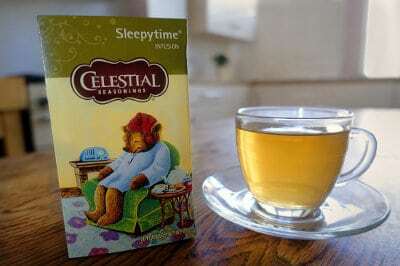 Celestial Seasonings Sleepytime tea is one of the most popular brands of tea for sleep in the United States. It’s also growing in popularity in the United Kingdom, and many other countries. It’s been my personal favorite for some time now. I find it has a delicious taste – soft and rounded even though it’s quite earthy. And with a little honey, it’s a lovely tea that helps me unwind at the end of a busy day. 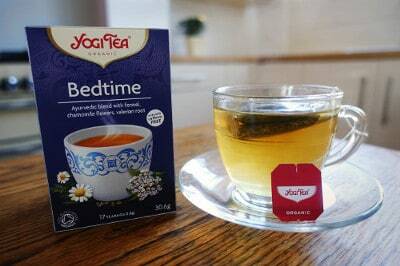 Yogi Bedtime is just one of many excellent teas that Yogi make. They produce several teas which can help with stress relief and relaxation, but this one is my favorite. I find it’s a very relaxing tea, and enjoy the deep, earthy flavor it has. You can really taste the valerian, chamomile and fennel combination, especially if you let it brew a little longer. It has a wide range of certified organic ingredients, including lemongrass, which is widely used in South Asia for relaxation. 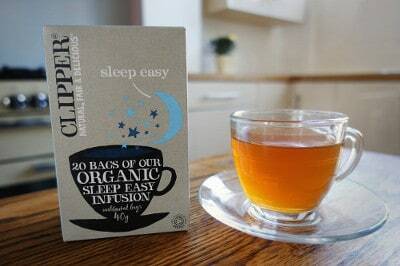 Clipper Sleep Easy is a tea that’s close to my heart, being blended in the UK, not far from where I grew up. I like how they point out that it’s made with ‘organic ingredients and a clear conscience’. Clipper says they strive to improve the welfare of the workers in the countries the ingredients come from. The tea has quite a mellow flavor, with just a hint of cinnamon and the rooibos coming through the standard flavor of chamomile. It’s a wonderful tea to drink before bed, with a unique taste, and one of my favorites in the colder winter months. 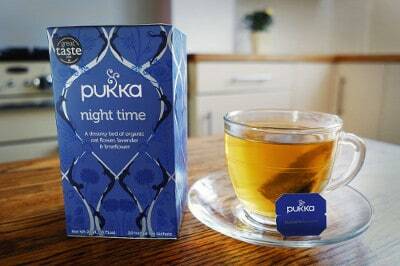 Pukka Night Time has a flavor that appears similar to the Celestial Seasonings at first. But there are some subtle differences – it’s a little stronger tasting, and sweeter even. It’s a lovely flavor in fact, and I can happily drink more than one cup in an evening. The ingredients are 100% organic and ethically sourced. Interestingly, it’s the only commercial tea I’ve seen with green rama tulsi leaf. This is thought to have anti-stress properties and is widely used in India. 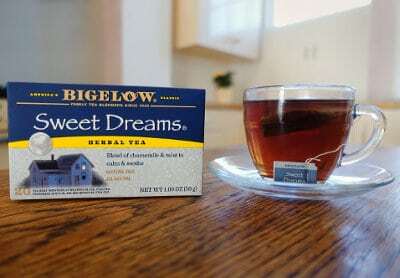 Bigelow Sweet Dreams has some extra minty pizzazz to accompany the usual chamomile that you’ll find in most nighttime teas. It’s another of my favorites as I adore the taste and smell of mint. Two different mint plants fuse together to create a special aroma, with a rich taste that’s great to drink on an evening when you feel like a stronger tasting bedtime tea. Made in the US from non-GMO ingredients, the box, teabag, and string are all biodegradable. But if you live in a place with high humidity or damp, each teabag has its own foil pouch to protect it from moisture and air. Historically, there’s been a lack of scientific evidence to support this traditional use of medicinal plants. However, in recent years, there have been numerous research studies showing promising results. 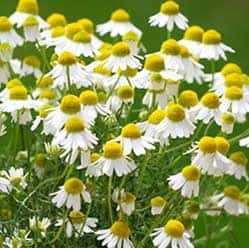 Chamomile is a common ingredient in sleep tea, and there’s mounting evidence that it helps with anxiety. There’s no conclusive proof that it works as a sleep aid though. But perhaps by helping with anxiety, it indirectly helps some people sleep better. The effectiveness of valerian, also found in many teas, remains inconclusive. Some studies show it does help with sleep and anxiety, but others find it doesn’t or that a placebo does just as well. Despite that, there’s enough evidence that many researchers feel it needs to be studied more. Lavender has growing evidence that it can help with sleep when inhaled. Studies have shown that inhaling it before going to bed improves sleep quality and reduces the number of nightly wakings. Again though, researchers feel more work needs to be done before concluding that it definitely works as a sleep aid. The evidence for most other plants used in tea for relaxation and sleep is less established. But it’s encouraging to know that some have been shown to have a real sedative effect. For me, drinking herbal tea is a valuable part of my bedtime routine; taking time out to sit and relax while drinking tea helps me transition from the busy daytime to the calmer nighttime. So perhaps the combination of a mild sedative effect and a personal decision to mentally relax is all it takes sometimes. In terms of popularity, chamomile is arguably the superstar of teas for sleep and relaxation in general. The evidence for its sedative effect is strongest for anxiety, but it crops up time and time again in sleep teas and herbal remedies. It’s found in many brands of herbal tea, either alone or mixed with other plants. And if you enjoy making remedies yourself, it’s easy to make by drying out the flowers and steeping them. 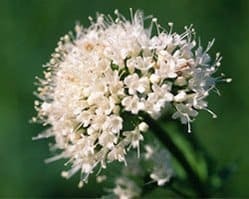 Valerian is one of the few plants which have been shown by researchers to have sedative properties, even if the same result isn’t always found in tests. It’s made from the root of the flower, and people have used it for centuries to help with sleep and anxiety. It may take a couple of weeks of regular drinking before the full sedative effect is felt though. Although chamomile and valerian reign supreme in the bedtime tea category, they aren’t alone. 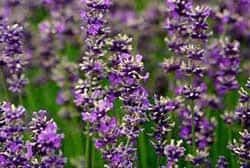 Another plant sometimes put into the mix is lavender, which is thought to have relaxing and anti-stress properties. 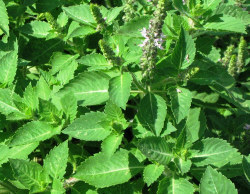 Lemon balm is widely believed to help with anxiety, stress and insomnia. And it’s often included in brands of teas created to promote better sleep. Some research studies have found it helps with insomnia when combined with other plants, such as valerian and chamomile. 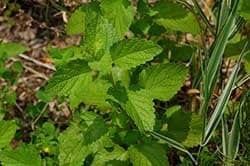 Peppermint is often associated with providing energy and helping stomach problems, but is also sometimes included in teas for sleep and relaxation. It’s thought to help calm your internal system, and with that your mind. So it might a good choice if you’ve eaten a little too much, and indigestion is keeping you awake. 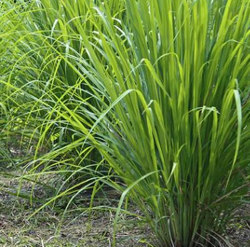 You might associate lemongrass more with Asian food – it’s a favorite of mine when making Thai curry! But it’s also used for medicinal purposes, including to help reduce anxiety, restlessness, menstrual cramps and insomnia. 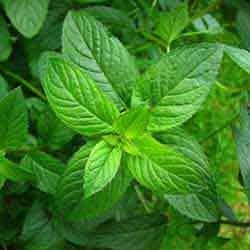 Tulsi, also known as holy basil, is one of the most important herbs in India, where it’s considered a sacred plant. It’s also widely used in Ayurveda medicine, including digestion, headaches, stress relief, depression and insomnia. It’s advised that pregnant or nursing women avoid using it though. Chinese medicine is a complex world. The philosophy tends to be more than you need to have a combination of herbs created specifically for you. There are some formulas created to reflect the kind of sleep problems you might have, often connected to a body part. For example, problems falling asleep might be seen as being connected to the heart. So Chinese medicine would look at ways to restore balance to your heart specifically. In the five years since I first wrote this article, many readers have shared their favorite soothing tea in the comments. Which tea do you find most helps you sleep better? Do you buy it or make it yourself? Please share your ideas in the comments below! Hello Ethan. First of all, thank you for the excellent article and website! I have learned a lot of useful information about sleep reading your articles. I love my herbal tea at night and can’t go without it. I believe chamomile is the perfect antidote to stress and a nice way to wrap up the day. You’re very welcome – it’s always great to hear the site is appreciated! It sounds like you have a firm favorite there, and it’s great it helps you unwind so well. Why do you have to pay extortionate prices for tea bags when you can purchase the herbs, in any herbalist, and make your own teas? Well, you don’t have to if you don’t want to! I guess not everyone has the time or inclination to make their own tea. As with so many things in life, we often lean to more convenient options – even if they are more expensive. My teenage son and I, who both struggle to sleep, find that a cup of Twinings Chamomile and Honey tea before bed helps us to sleep better. Thanks for sharing your tea suggestion – I also like that one. I always find honey adds a little magic to most teas! The tea that works best to help me sleep is pure Lemon Myrtle (from Australia). Thanks for your comment and suggestion. I’ll look into that tea. Thanks for your comment – I hope you find one that you enjoy and gets you that natural sleep you need. These teas are good but wich is best for hep c.
I recommend checking out Hepatitis support websites. There’s a page on herbs that might help on the UK hepctrust website you could start with. Hey great article. We’d love it if you would try some of our Teepee Dreams from NativeAmericanTea.com. It has many of the ingredients you speak about it! Let us know if we can send you some! Thanks for your compliment. Teas aren’t too expensive, so I’ll buy some myself when I decide to do the next batch of tests to update the article. Thanks though! A small tea boutique in Raleigh blended a wonderful tea called Morpheus. I use it for my ADHD grandchild and my 75 year old spouse who suffers from night time anxiety after a heart attack 4 years ago. I make him a cup every night before bed. It tastes really good as well as being beneficial. I order online Tin Roof Teas. Loose leaf and fresh leaves. Thanks for the suggestion. I haven’t heard of that tea, so will have to look it up. I’m happy to hear it! Enjoy discovering new flavors. I like celestial seasonings too, and have a little collection of different ones. I’ve tried it cold with ice in the hot weather recently and even that tastes good! Thanks for your comment, and that’s a great idea! I might have to give it a go during the heatwave coming to the UK this week. You’re very welcome! I have been doing the same actually, and thanks to previous readers have discovered a couple of great new teas. Thaks for your comment. Yes, tea can be very beneficial! It’s actually normal to take a while to fall asleep. 10 to 20 minutes is a normal amount of time, so you might not have a problem there. A cup Celestial Sleepy Time with a teaspoon of honey and a oz. of whiskey has cured my life of living with insomnia. I’m 71 years old. My favorite is Celestial Seasonings Sleepytime Lemon Jasmine Decaf Green Tea. It’s basically their Sleepytime herbal tea blended with decaffeinated green tea, and that gives it greater body and depth of flavor. Additionally, you get the benefits of the green tea. Thanks for the suggestion – I’ll have to try that one since I’m a fan of Sleepytime. Thanks for your suggestion. I’ll add that one to the list! How often do u drink it ? Thank you for this informative article. I learned a lot and am going to try some of the teas. I’d much rather drink a natural tea than take a drug. You’re very welcome – I hope you enjoy the teas. David’s Tea (Canadian tea company) makes two wonderful sleepy teas: Mother’s Little Helper and Valerian Nights. They are both delicious and have taken care of my (moderate, anxiety-related) sleeping troubles. You can order them online. If you sign up for emails they will periodically have 40% off 4oz or loose leaf tea sales and you can stock up like I do. I swear by them!!! Thanks for the suggestions. I haven’t tried them personally, but have heard of them. I’ll have to give them a go! 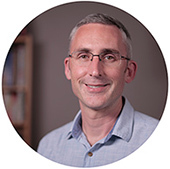 Ethan – I have trouble staying asleep but recently heard that Guava Leaf tea consumed daily has a long term affect on sleep. Are you familiar with it? It’s also supposedly quite good for blood sugar and is a powerful antioxidant. I haven’t tried it myself, so can’t say from personal experience. Maybe another reader has tried it? I suffer from both anxiety as well as insomnia, and I have been seeking out natural remedies for several years now. There are countless health benefits to various herbs, but none ever succeeded in helping me to truly relax. This of course was until I encountered Hibiscus. Hibiscus tea has been a real game changer for me. It’s almost instantly relaxing, and it also works rather well as an anti-depressant. I highly recommend it to anyone dealing with trouble unwinding at the end of the day (as a side note it is also really effective with digestive health and promotes an increased metabolism while fighting free radicals at the same time- oh! and it also has significantly more vitamin C than oranges, so it’s great for immunity during the flu season! :) ). Thank you for your suggestion – I’ve just gone and added it to the list. It’s great that after doing some experimenting, you’ve found one that truly works for you. I hope you continue to reap the benefits! Hi where do you purchase you tea. I discovered this tea in it’s flower form at a market but when I went back for more they didn’t carry it any longer perhaps because of the time of season. I purchased some on amazon but it’s isn’t as supportive of my health as the fresh flowers did. Where can(real) Hibiscus tea be purchased? Where did you purchase this tea and how much did you use? Thank you!!! Hi Jordyn I experience the same problems as you have mentioned, I would kindly like to know where I can find the recommended sleeping tea?? Try health food shops, or online with Amazon or other major retailers. And if you search online you can find recipes to make it yourself. Thanks for your comment. Funnily enough, I quite like milk in chamomile tea, though people often tell me I’m weird for doing so! I like it just plain too, but once in a while a drop of milk and honey makes a nice change. It’s the only herbal tea I can drink with any dairy products though! I drink verveine tea at night. Found it difficult to find in uk, readily available in French supermarkets but Ahmad teas do one. Love it. Discovered it whilst on French exchange when I was 12, away from home, home sick and the french mum gave it to me every night to help me sleep. I’m in my 50s now and still drink it! Thanks for your comment and suggestion. I’ve just added it to the list! Really liked this article.. Really helpful. I’m a terrible sleeper. Always have been, but as I’ve got older the lack of sleep really hits home and makes days hard to cope with. I’ve changed loads of things to help, some work some don’t..
Its hard to know which is good tea and which is a waste of time, I will be adding some of these to my cupboards. Thank you for your comment – it’s always encouraging to know readers like an article! I know exactly what you mean about some things working and others now. For me it’s the same, and in some ways a constant battle to get everything lined up during the day and evening to ensure I have the best chance of sleeping well. I find the more good practices I keep up, the better. As for tea, well it’s a lot about personal taste. I like all of the teas in this list, but I know from giving them to family and friends that they aren’t all to everyone’s liking! Can someone tell me if adding sugar or a sweetner to a bedtime tea, such as Pukka bedtime tea, reduces the effectiveness of its sleep promoting properties? Thanks for your question. I don’t think it alters the tea’s properties. Perhaps if there’s a lot of sugar, it might keep you awake a little longer. But a little probably won’t make much difference in my experience. Thanks for your comment. Maybe it’s just because the sleepytime, and variations, are awesome teas! I don’t know many people who have tried it in my house and not liked it. Bigelow is great too, and a more than worthy backup plan for when you run out of the favorite. Very good article, I enjoy drinking herbal tea often. I’ve tried Bigelow lemon tea and Yogi ginger tea are two of my favorites. Currently, I’m trying my own infusion of dried orange leafs, purple thyme, chamomile, tamarind seed and cardamom with honey to taste. Very soothing combination!!! Thanks for your comment, and I’m happy to hear you liked the article. Your infusion sounds very interesting – I’m curious as to what kind of taste it has! Thanks for your comment and kind words. I hope you enjoy the teas! Hi Ethan, thanks for the great read and suggestions! I loved the list of readers favorite teas at the end there – so nice to see an article taking note of what people have to say:-) for the record, I love celstial tea too! Thanks for your comment and kind words. I’m very happy to hear you liked that part of the article! My wife and I have recently started using a mixture of 1 part Valerian root, to 3parts fennel seed steeped for about 5 minutes; get water temperature to a rolling boil turn off heat pour into cup with steeper and let sit for 3-5 minutes. Then drink. We always add a little honey. Love it at bedtime. Thanks for your comment and suggestion. How does the valerian root smell when you make it that way? What a great article, so much awesome information. My wife loves Mama Wunderbar tea. Just recently got the caramel yogi bedtime that I’m currently dissolving into now. I usually drink it while i stretch and roll out to help me unwind and get my focused for rest. great tea & also great post! Thanks for your comment and compliment. Enjoy your tea! My partner and i had major trouble getting into a sleep pattern. Did some research on fruits/veggies that have calming/soothing/relaxing abilities. I make a cup of tea, yogi bedtime and sleepytime, steep really good, add that as a liquid base for fruits/veggies, mix in a blender and its a nighty nighty hot tea smoothie!! Delicious, nutricious, healthy, and the sleep we now get, uninterupted, is perfect!! Thanks for your comment and your idea. Do you have particular fruits or veggies that you find work best for this? How about chrysanthemum tea? Can it help me sleep better at night? I haven’t drunk much of it myself, but I know some say it might help with unwinding. Perhaps you can let us know if you decide to try it! It may be that having a bedtime ritual: hot shower or hot foot bath with epsom salts, cup of hot tea, listening to a favorite piece of music, a meditation tape, etc–or come up with your own. All put together, this 1/2 to 1 hour ritual can tell your brain its time to sleep. Currently I use sleepy time with a T vinegar and tsp of raw unfiltered honey. I have taped all of the devices that have little lights so that there is *zero* light. Thanks for your comment. I completely agree – I think creating your own calming ritual before bed is a fantastic way to unwind and prepare yourself for sleep. It’s very tempting to rely on digital entertainment right up until the moment we switch the light off. But taking time away from our devices to do calming, enjoyable things is a much better alternative. It just takes some will power to resist all the fun and interesting things our televisions, computers, tablets, consoles and phones offer! I am so impressed with Yogi bedtime tea. My question, is it safe to drink every night for a long period? It is so amazing and helps me sleep all night with zero side effects. Thanks for your comment. As far as I’m aware, yes, it’s fine to drink those bedtime teas in the long term. I drink Celestial Seasons Sleepy time Tea. Thanks for your comment. I actually do the same sometimes! I love the taste in the evening, though prefer a more everyday cup of tea during the day. Not sure why though! The tea that I find highly effective is ‘Nighty Night’. It works! Hope it helps! I happened to brew a concoction of the leaves of guava, taro and mulberry. i was asleep in an hour….dunno the science behind it. This calls for an investigation. First off – love how many comments are posted at weird times of the night/early morning. Really interesting article! I am definitely going to give some of these suggestions a try. A very interesting article! I will have to try some of the other teas. For the past 20 evenings I have been drinking the Relaxing Tea (Triple Leaf). I poo-pooed it when a friend told me about it. I’m a coffee drinker; and I roast my own. However, I have sleep apnea and have been on a CPAP for 6 or 7 years now. Every time I had to turn over I’d wake up having to pull the hose around with me. Lo and Behold… I tried the TL Relaxing Tea and once I get to sleep, I sleep! I cannot believe it, still! It doesn’t seem to bother me, but I see there is caution in your article about some things and to make sure, if taking meds, you should research. I didn’t do that, all I knew is that I slept like a log. So, I will have to check out the meds I take, along with this herbal tea. Thanks for your comment. Hopefully your research will show that it’s fine, as it sounds like you’ve had great results with that tea! Hi! I’m Ethan Green, the founder of No Sleepless Nights. As an insomniac myself, I understand how much better life is when you sleep well. My aim is to share useful information about sleep, self-help tips, and detailed reviews. I hope you find something here that brings you some peace at night. Paradoxical Insomnia: Do You Sleep Better Than You Think? If you choose to buy products through links on this site, I may receive a referral fee, at no extra cost to you. If you have any concerns about your sleep or health, please speak to a medical professional.